So, you've decided to get Maui'd on a beach alongside the deep blue Pacific Ocean with your bare feet in the sand and the wind in your hair. There might be a few people in your family who aren't outwardly excited about this, they think you ought to stay home, rent the VFW hall, invite half the town and blow enough of your honeymoon budget to make a tent at Mesa Verde on your wedding night seem almost out of reach! But deep down inside they're just waiting for an offer they can't refuse: A Maui Beach Wedding that they HAVE to attend! They can't refuse, they know they will have to go and with a little luck, they just might have the time of their lives. With the money you save on all those "chicken or beef" dinners, you can get an oceanfront room in Wailea and go swimming with the sea turtles. Maybe jump half naked into a fresh water pool fed by a waterfall, hike through a bamboo rain forest and fall asleep in a hammock under the stars between two palm trees. You can do this and more with one of our Maui beach weddings. 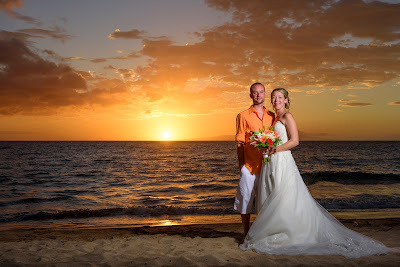 There's a few things you need to know; you need to hire a Maui wedding planner that has been doing this forever and knows which beaches are best suited to your needs and you also need to know which Maui wedding photographers offer the best imagery for your style. 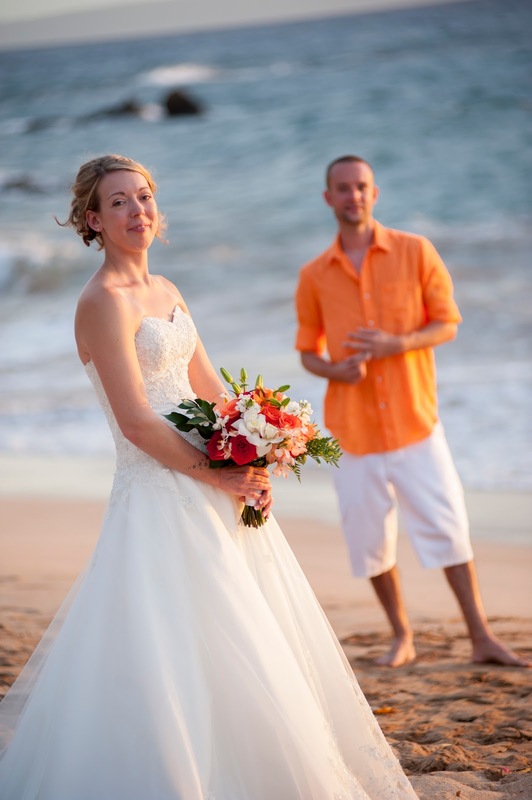 Your Maui wedding coordinator will know who is available and can do the best job for your budget. You need to know that all beaches in Hawaii are public. Coming from New York, where private beachfront landowners run chain link fences from their backyard to the beach and all the way into the ocean, this was a shock, but a good one! We can't "reserve" a beach and we can't "rent" a private beach but we can tell you which beaches are rarely used and would suit your group well. As long as you go with the flow and don't obsess about the weather reports, you will be fine. It may rain on your parade, but that rain will be short, sweet, and passing and will probably create a beautiful rainbow to accentuate your Maui wedding images. After the ceremony and the photo session, Maui usually graces us with a fabulous sunset. 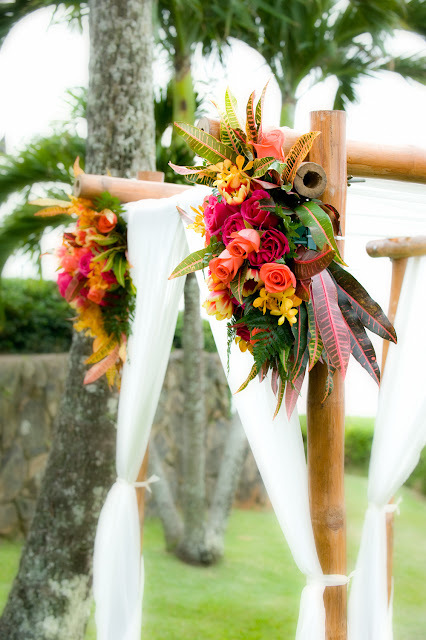 So pack your bags and tell your friends it's time to head to Maui for a romantic getaway! No excuses, no complaints, no tents.